Did you know that by default, most Wordpress blogs are set to BLOCK search engine indexing? We can help adjust your settings and install additional plugins to get your blog indexed as quickly as 5 minutes from publishing. Ready to sign up for the SEO Supercharge? Click Here to get started! Wordpress is SEO Friendly, we make it Extremely SEO Friendly. Wordpress blogs are one of the best SEO tools that we've ever seen. They allow you to update your interest base on a regular basis and make for easy search engine optimization with very good built in optimization techniques. Some Wordpress blog installations, however, are set by default to block search engines for privacy. While the Wordpress blogs are very search engine friendly, they can be tweaked to become much more search engine friendly in just a few hours. Simple fine tuning like turning OFF privacy settings are the easy adjustments we make for you but we have many more significant adjustments we will make with this package. Our SEO Supercharge for Wordpress blogs is a collection of plug in's and settings adjustments we make to your blog to make it as search engine friendly as possible. Adjust Wordpress Privacy Settings: We will ensure that your blog is not blocking search engine indexing and spiders. Automatic Site Map Generation: Every single time you publish your blog a new sitemap (.xml and zipped) will be created and published to your webhost. Automatic Site Map Submission: Once the site map has been created after you publish a new page or post, all of the major search engines will be notified (Google, Yahoo, Bing and Ask) via their own individual protocols. Super SEO Friendly Site Map: The site map that is created will include all of the available fields that can be provided including suggested rankings, date of publish, etc. This will ensure quick and accurate indexing by the search engines. Allow for Individual Titles for Pages: If you would like to have your Page Title (in the URL bar) different than the title of the article or post you are writing, you will have that ability after the SEO booster is installed. The additional fields are located directly on the writing pages. If you ignore the extra fields, your blog will function exactly as it did before with no negative changes. Modify your links for SEO Friendliness: We will adjust your links so that the titles of your posts are in the URL's an not just a set of numbers. This will modify the way your blog functions, but not effect any existing links to older pages. All existing pages will be redirected to the new links with no negative effects. All of the work we do on your site is your property and you are free to make further adjustments when we are finished. Additional Plug In's will be installed in your blog and they are yours to use as you see fit. We will adjust each plug in according to our recommendations when we install them. How much does the SEO Supercharge Cost? The entire package is only $400 and can be installed in just a day or two. The article was published at 9:29 a.m.
Want to see the SEO Booster in Action? This is a perfect representation of what the SEO booster can do for your Yahoo Store's Wordpress Blog. The site is SkiHelmets.org. 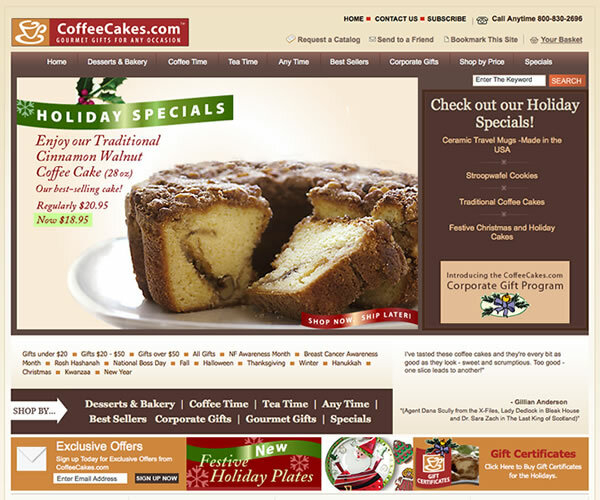 At the time of this example, the site has been online for less than a year. We installed the SEO supercharge package and did a test. 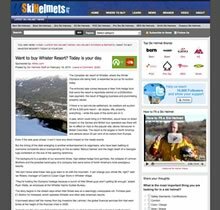 In the morning, they published an article about Whistler Ski Resort. You can see the published version over to the left. This article was originally published by SkiHelmets.org's staff at 9:29 in the morning. Within 6 minutes, Google.com has already indexed the article and sent an alert about a new page on SkiHelmets.org that has just been indexed. This happens every single time a new article is published on SkiHelmets.org. And it's all automatic. As the publisher, you do absolutely nothing different than you're doing today. How will I know if my SEO booster is working? It's extremely easy. We would suggest setting up a google news alert for your domain and have them email you every single time your domain is indexed by Google. To set up an alert, head to http://www.google.com/alerts and enter your domain name as the search term. We would suggest a comprehensive report and also suggest changing the frequency to "as it happens" so you'll know the moment you are indexed each time. You should start to see results in as little as a few days.